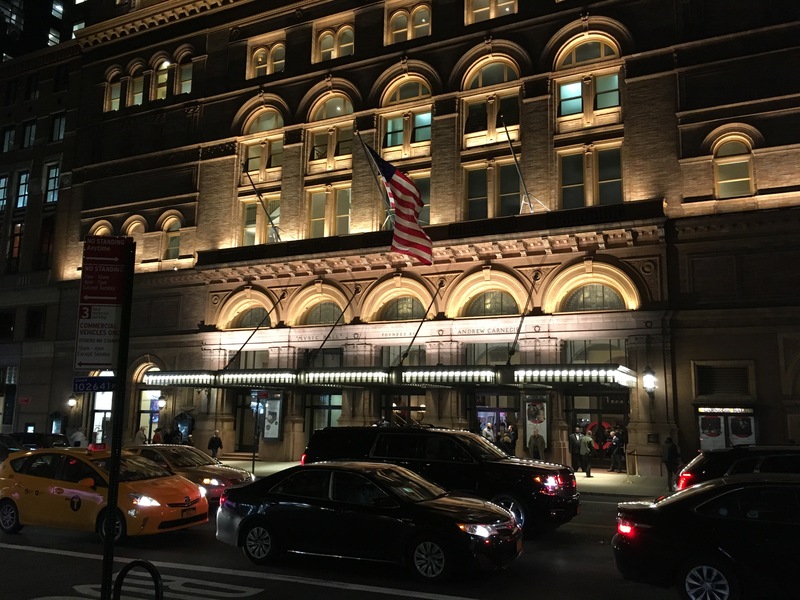 Carl St.Clair and Pacific Symphony are about to make a big trip, in case you hadn’t heard — a trip to Carnegie Hall. Conductor and orchestra have been invited to perform at the venerable venue on Saturday, April 21, in the final program of a series celebrating the 80th birthday of American composer Philip Glass. It will be the first time performing there for both St.Clair and Orange County’s 39-year-old symphonic ensemble. St.Clair has been in Carnegie many times, of course, both as a listener (he remembers hearing Herbert von Karajan’s last concerts there with the Berlin Philharmonic) and as a would-be participant, during his years as an assistant conductor with the Boston Symphony, which has long made regular appearances at the hall. But as it happened, he was never asked to step in when the orchestra was visiting New York, not even in rehearsal. “I have not conducted on that stage,” St.Clair said categorically in a recent conversation at the Symphony’s Irvine offices. But he’s looking forward to it. 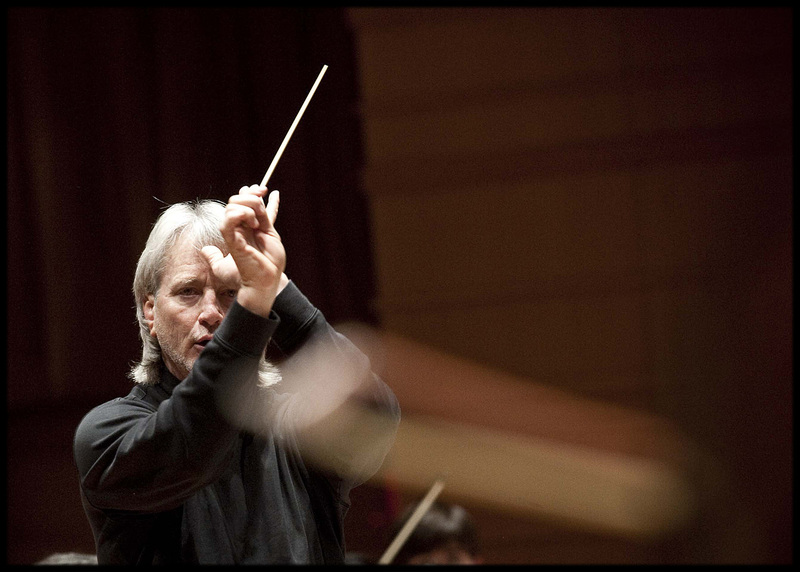 “Knowing at least some of the great conductors who have stood on that particular podium, you are very honored that you are taking the same place.” A similar honor will be bestowed on the orchestra when it performs in the auditorium that has been hosting the world’s most celebrated ensembles since the 1890s. The Carnegie program is a significant one, and testament to a long friendship dating to the early 1980s, when conductor and composer met at the Cabrillo Music Festival and immediately “hit it off.” St.Clair conducted Glass’ music through the years — including the West Coast premiere of the mammoth Symphony No. 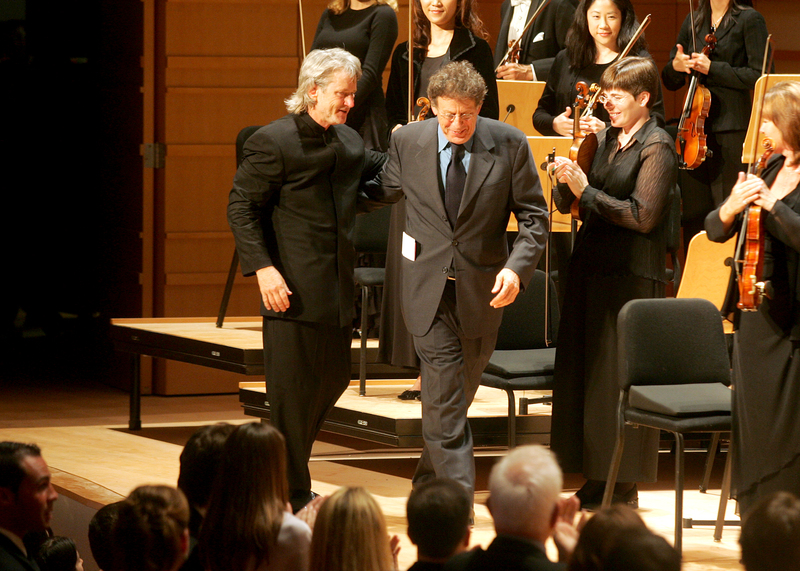 5 — and invited Glass to be the featured composer in the 2006 American Composers Festival. Though the busy composer ultimately had to decline the offer, it was then that St.Clair heard of an evening-length piece that Glass had in mind about the life of Ramakrishna, the 19th-century Indian mystic. Needing a piece to sustain critical interest for the second of two opening concerts at the new Renée and Henry Segerstrom Concert Hall in the fall of 2006, St.Clair thought of Glass and his Ramakrishna piece, but now asked him for a work half the originally intended length so that it would fit on a program with the Beethoven Violin Concerto played by Midori. Thus was born “The Passion of Ramakrishna,” given its premiere on Sept. 16, 2006, now fashioned as a 45-minute work for orchestra, chorus and soloists. Later that season, St.Clair conducted the work with the Nashville Symphony (co-commissioners) but subsequently it was not performed widely. In 2011, St.Clair was finally able to nab Glass for the American Composers Festival and revived the piece and recorded it. The “Passion of Ramakrishna” tells the story, in brief, of his life, death and transfiguration. The libretto is made from his own words and those of his followers. Ramakrishna’s part is sung by the entire choir (the Pacific Chorale), which gives his words an otherworldly feel. The parts of his followers are sung by soloists, lending them a human, everyday dimension. “He writes beautifully for the voice,” St.Clair says of Glass in this work. The words are set to music with an almost invisible naturalness, one syllable per note, in the rhythm of normal speech. The compass of these melodic lines also mimic the rise and fall of spoken word. St.Clair says that the chorus loves singing the piece, which isn’t always the case with new music. In the orchestra, Glass’ minimalistic thrum provides a trance-like euphony and regularity, a musical Zen state in keeping with Ramakrishna’s wisdom. But the music also features moments of power, grandeur and wonder, and Ramakrishna’s death becomes operatic in scope. In performance, St.Clair has shown himself a strong advocate for the work, at home and at ease in music requiring large forces and dramatic emotions. He has his own way with the minimalistic style as well. We ask St.Clair if he’ll be nervous stepping out onto the Carnegie Hall stage for the first time on April 21. This entry was posted in classical music, feature and tagged Carl St.Clair, Carnegie Hall, Pacific Chorale, Pacific Symphony, Philip Glass by pacificsymphony. Bookmark the permalink. Will the New York concert be broadcast on PBS? No, not to my knowledge. Come to our Carnegie preview concerts in OC!